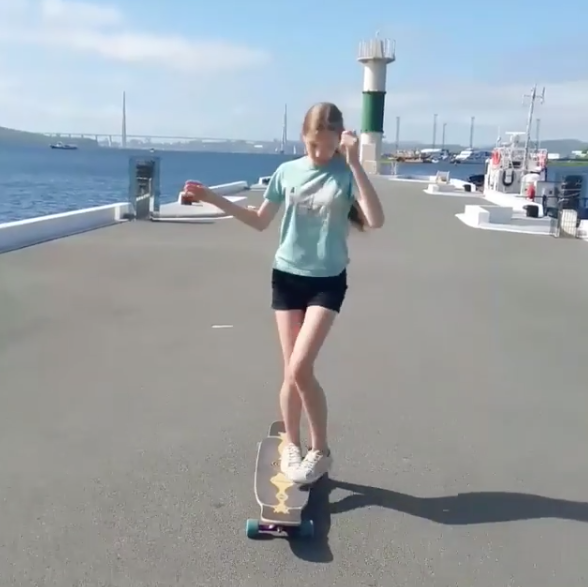 she was skating on Vancouver Island. Skating is definitely a fun workout. 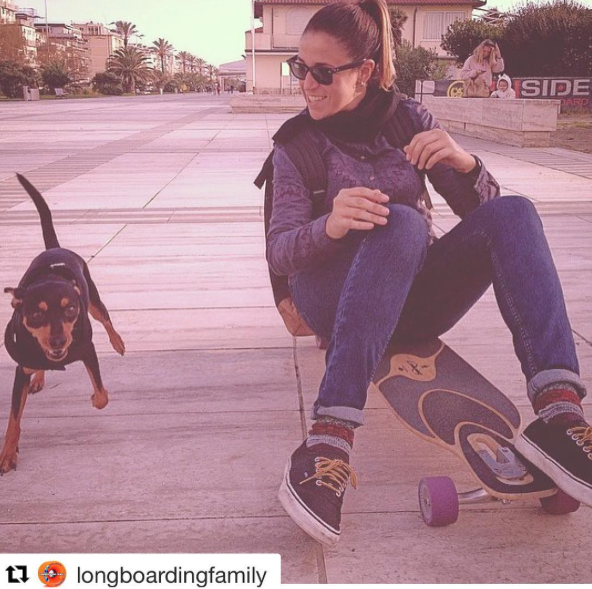 Where are you skating and why do you find it fun? 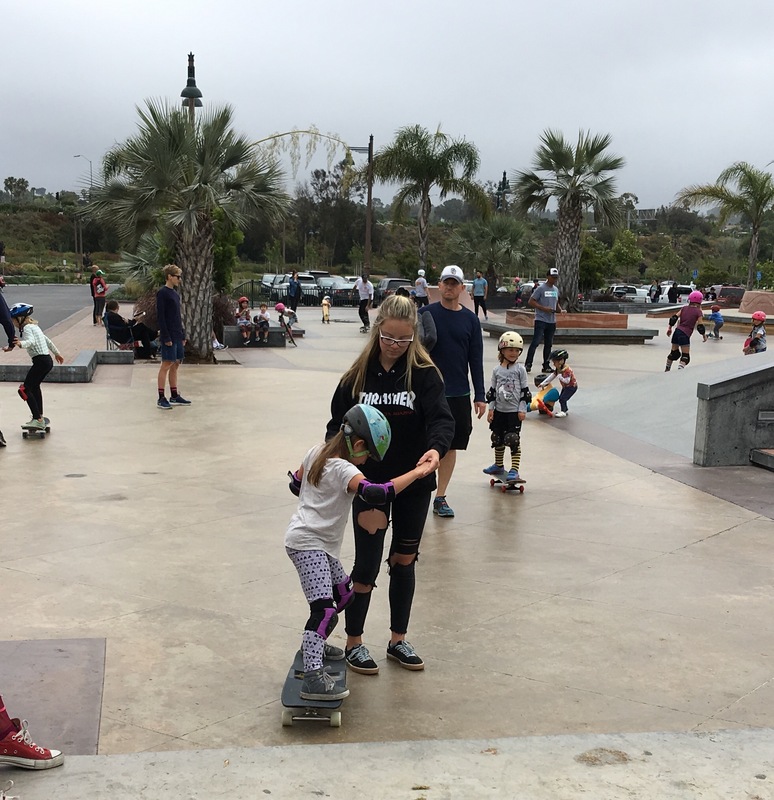 More girls skate when they see girls and we encourage each other. 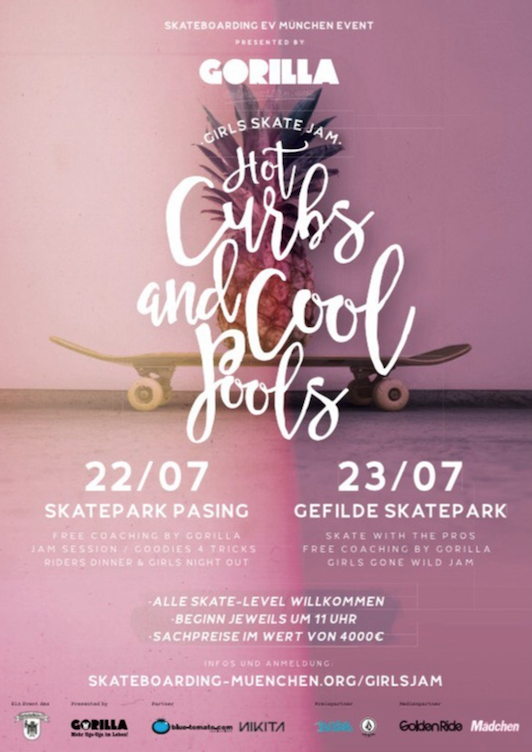 The first girls only skate contest in Germany is coming up in July. 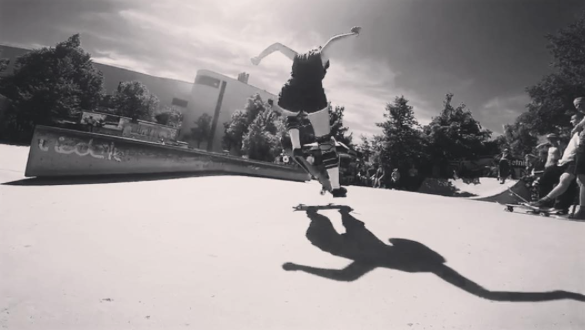 Click above to go to FB for invite shared by Skateboarding München e.V. On Saturday July 22nd at Munich – Pasing Skatepark there will be an open contest for sponsored, unsponsored, and under 14 divisions. Plus there will be free beginner lessons (with rental equipment available), a contest jam, and riders’ dinner after. 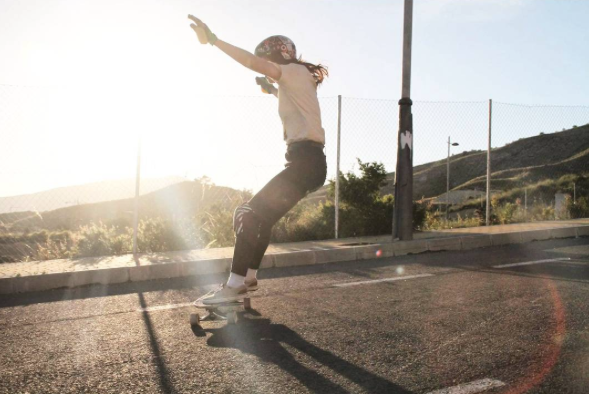 On Sunday July 23rd at Gefilde Skatepark there will be coaching and a fun session with goodies for tricks. To register e-mail c.lucas@posteo.de with your name, date you plan on participating, and what you’d like to skate. Thanks to support from Blue Tomato, Nikita, Volcom, Nais Berlin, Vans & Stance there will be awesome prizes. And thanks to Celina aka @brontorawr for sharing this rad event. 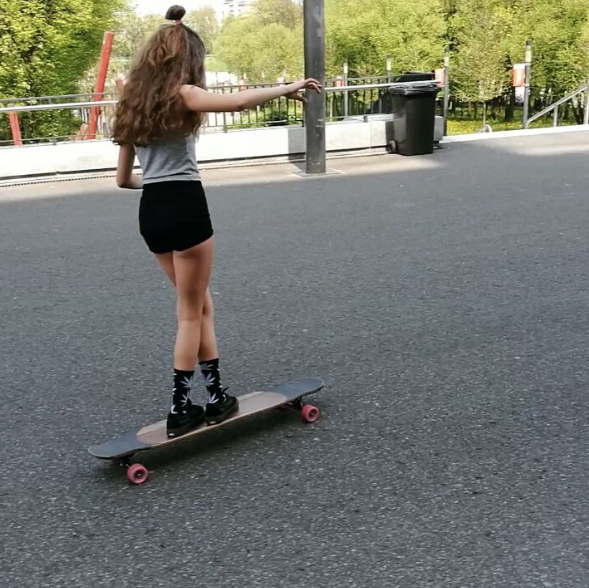 More girls skate when they see girls having fun skateboarding & we encourage each other so wherever you are in the world keep sharing your skate inspiration! Accidents happen – no one wants to have a broken hand. 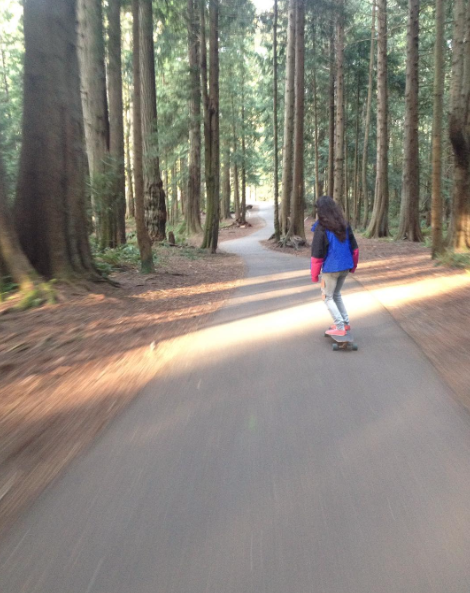 I love how she stays true to her love of longboarding. 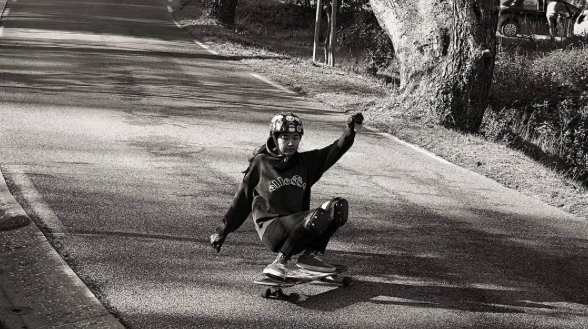 when you share your pictures & stories, you inspire other girls to try skateboarding. Hope you share soon & have an amazing Wednesday wherever you are. 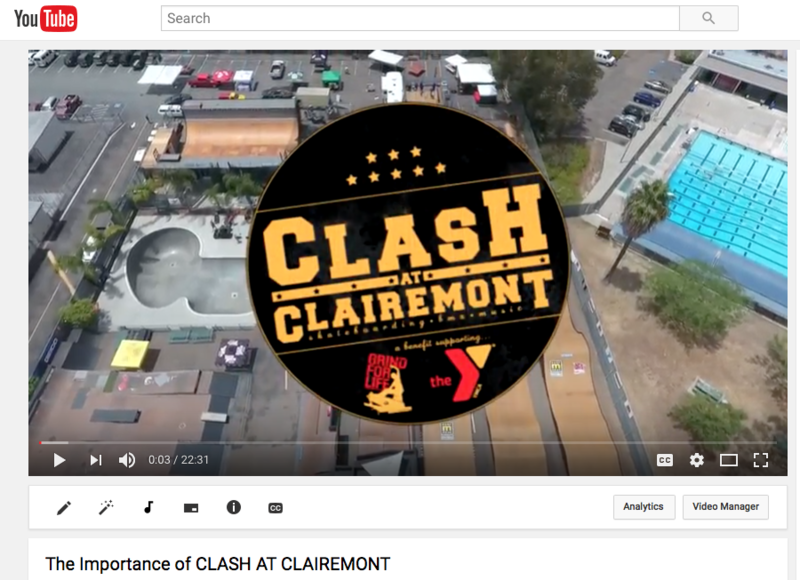 Clash at Clairemont is an annual fundraiser in San Diego, CA that supports the YMCA Krause Family Skate & Bike Park and Grind for Life. I have the pleasure to volunteer at it, blog about it, and now be a part of this video that explains why it’s important to the community. 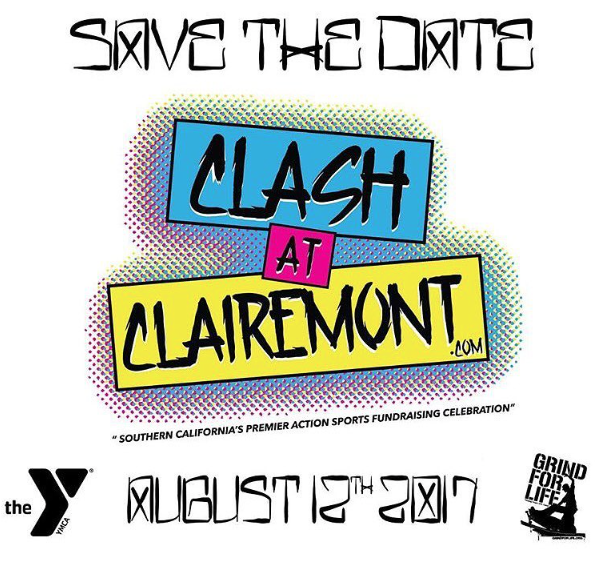 Hope you enjoy the video and if you can join us August 12, 2017 for the 11th Clash. Congrats to Anna-Claire for placing 3rd. Plus congrats to Anna-Claire for entering the bowl. 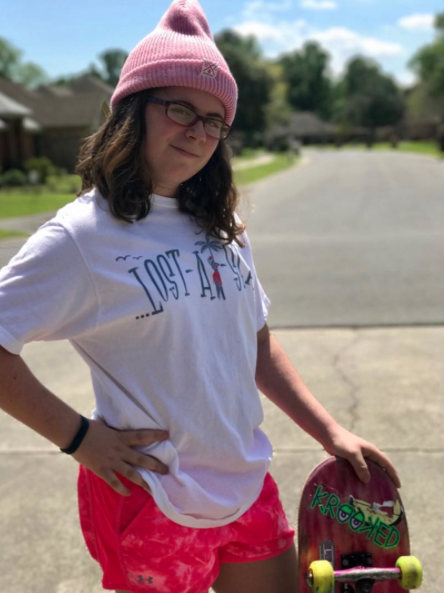 Street not bowl is Anna-Claire’s passion but she missed the street division so she skated bowl. I love this story – things happen that you can’t control. Anna-Claire wanted and planned to enter the street division. It just didn’t work out. She had choices – from not even go, to complain, to make the best of it. She picked make the best of it and ended up having an awesome time. The unexpected can seem scary and disappointing or it can be an opportunity. When you look at life as an opportunity, you’re likely to be happier. Even if Anna-Claire hadn’t of won, she still would have skated and isn’t that where the fun really is? 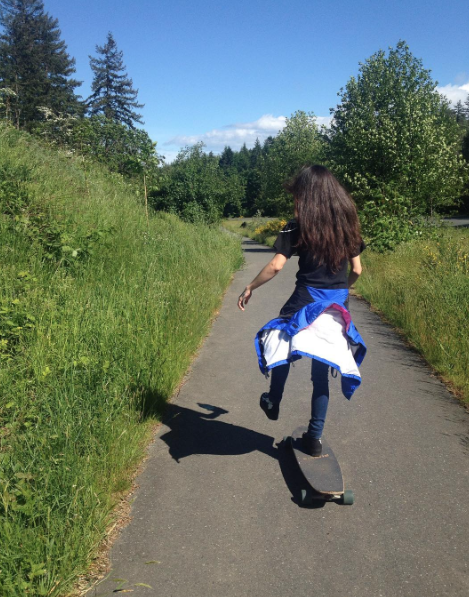 I blog because I’m on a mission to get more girls skateboarding for fun. 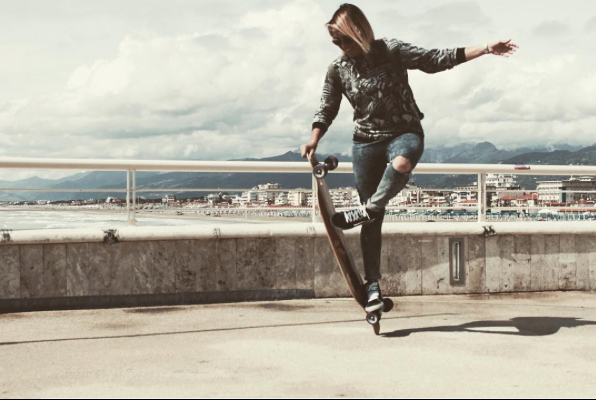 To me skateboarding is sport, art, transportation, rolling yoga, self confidence building and so much more. 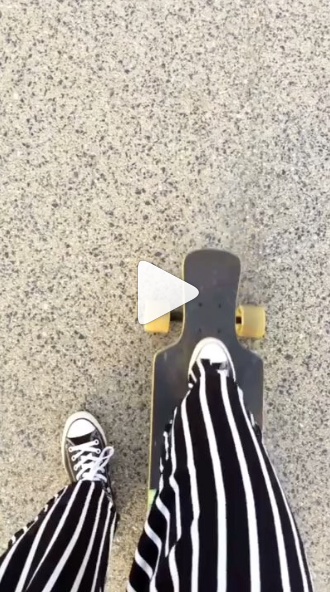 The courage I’ve learned from skateboarding follows me off the board. Regardless of who you are, your age, style, skill level, etc. 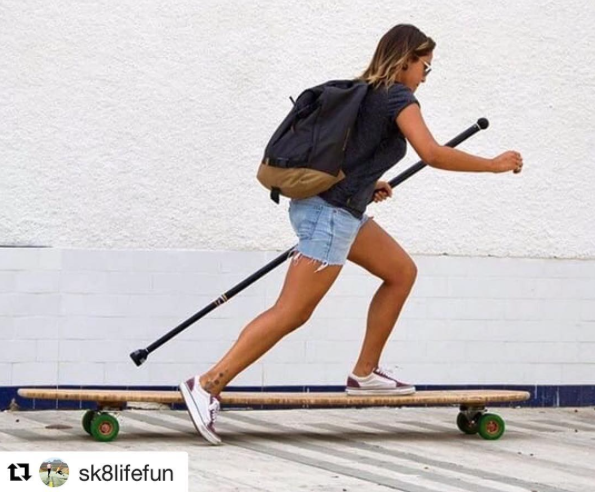 if you’re having fun skateboarding keep skating! 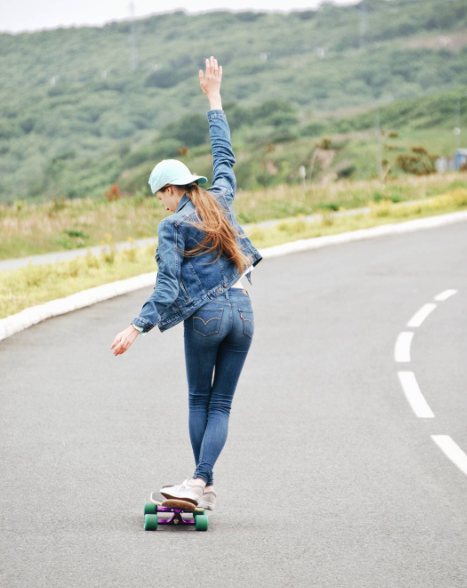 Every day should be the day you skateboard but if you need an extra reason to just get out there & skate you’re in luck because today is Go Skateboarding Day! I’d love if you shared your Go Skateboarding Day pictures and stories with the blog. 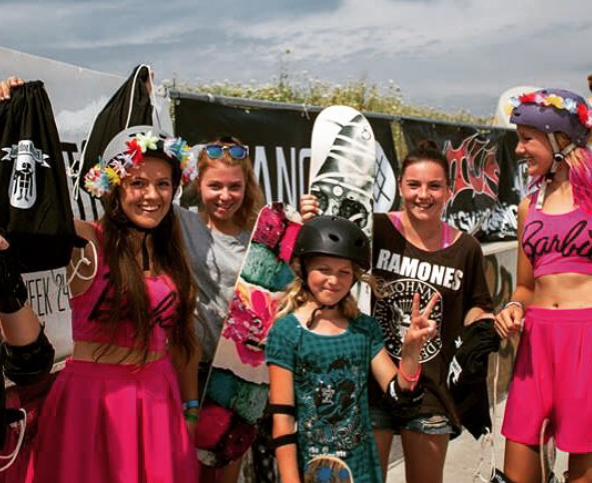 More girls do skateboard as they see girls having fun skateboarding & we encourage each other. 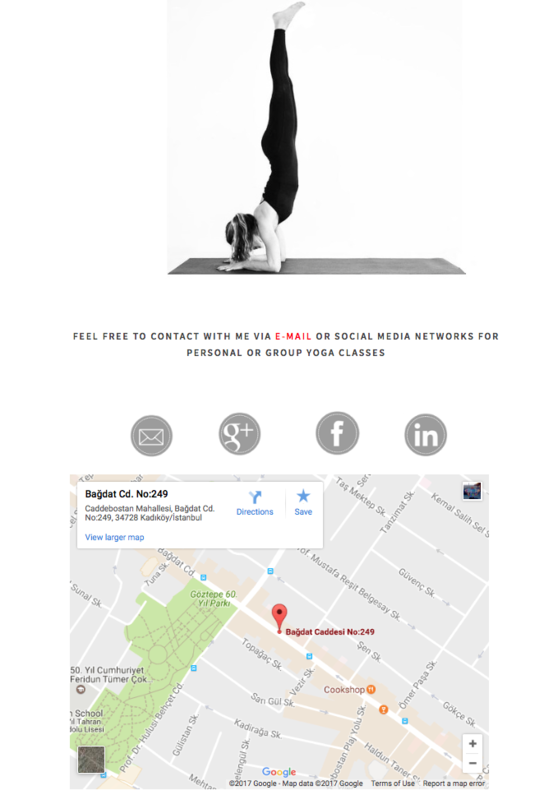 If you’re in the Istanbul area you can take a class with her. 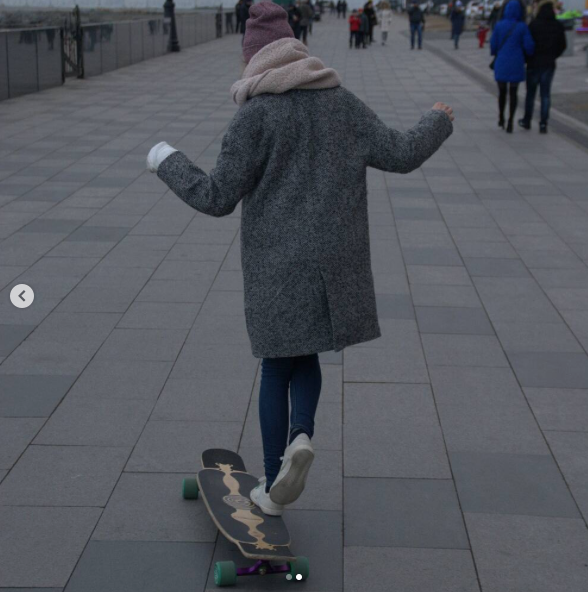 I’ve always thought of skateboarding as rolling yoga so I love the grace & style that Tuğba brings to her skating. 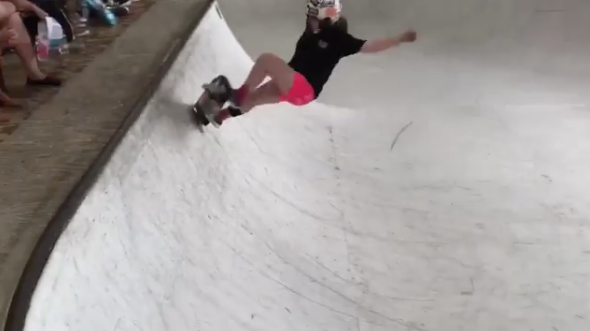 She might be a beginner, but she’s already having fun & inspiring others to give skating a try. More girls skateboard when they see stylish girls from around the world having fun skating. Where will inspiration come from next? Hope you share soon! 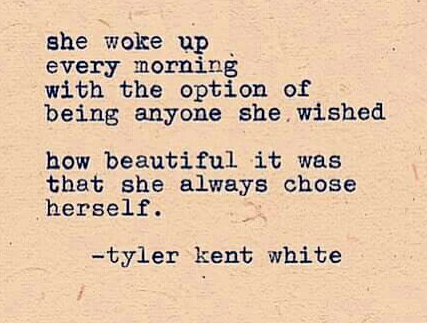 As for the quote it’s by Tyler Kent White. He’s a writer & below is the link to his site.